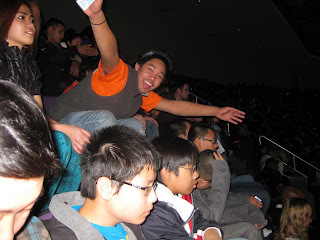 Asian American LEAD Updates! 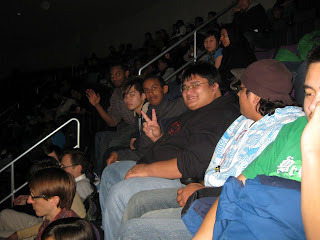 : AALEAD goes to a Wizard's Game! 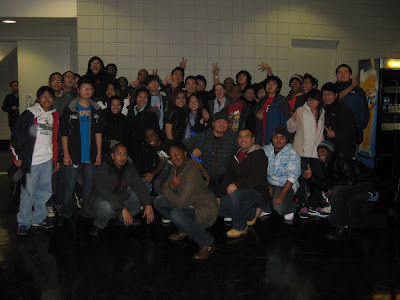 AALEAD mentors, staff and students from our DC, MD and mentoring programs spent their Friday night at a Washington Wizards basketball game versus the Miami Heat on January 22, 2010. Due to our large numbers in attendance, we were separated into two sections of 410 and 405. 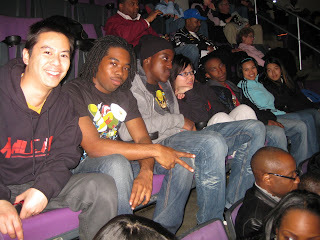 For some our staff and students it was their first time attending a professional basketball game at the Verizon Center. 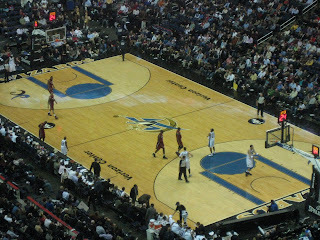 Despite the Wizards losing the game, everyone in attendance enjoyed the game. At the end of the game everyone joined together for a group photo. Thank you Washington Wizards for having a community tickets program!